So, you’ve crafted an interesting opening to your story, article, blog post or other writing. You’ve taken readers through the details and why the piece is important. Don’t let your writing screech to a halt as if you’ve hit a dead end sign. What are your best tips for an effective closing? 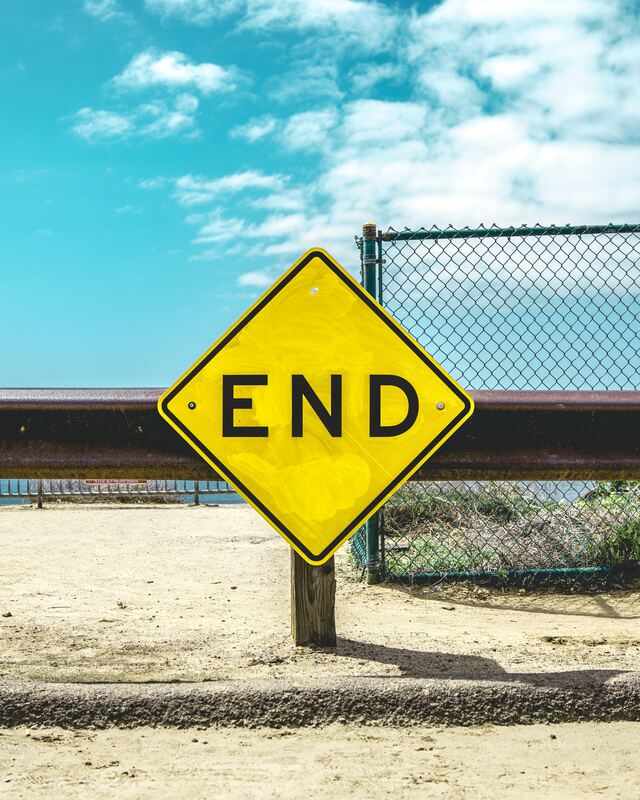 Do you have a book or movie ending that sticks in your mind? Please share in the comments. “Stop” image by Matt Botsford on Unsplash. Wordnerdery is a quick read about words, effective/expressive writing, newsletters and more. Are you a subscriber yet? If yes, thanks for reading! If not, you can sign up right now. In keeping with Canada’s anti-spam laws, you can easily unsubscribe any time.